For those of us on Oahu, we don’t have much of a connection with Kona Brewing Company. 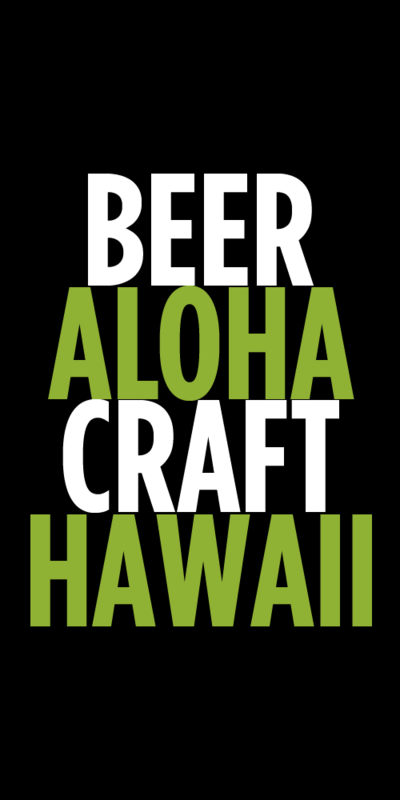 Yes, we’ve probably have all had a Longboard Lager and if you live near Hawaii Kai, visit the pub there. But we can’t easily visit the brewery and rarely see any of the specialty beers here. If you’ve visited the Kona pub, you know it’s always stocked with a wide array of locally brewed beers. The Kona brewery is a busy place, cranking out about 12,000 barrels per year, all of which is sold in the state. Most of the specialty beers never make it out of Kona, because the demand there for them is so high. Because of the great distance between islands in Hawaii, we never get to see the real people that make up the team in the Kona brewery. I was lucky enough to meet Brewmaster, Ryan McVeigh, in April at the Honolulu Beer Festival and recently met Brewery Operations Manager, Sandi Shriver, at the Cicerone exam held at Kona’s offices. Together they manage a team of over 12 people who are brewing some fantastic beer and are very passionate about the beer they brew. Since they work so closely together running the brewery, I thought I’d interview them together too. So for all of us who can’t hop on over to the Kona pub, here’s a quick look into the two running the shop. SS– I’m originally from Florida, but it was too cold (don’t judge me). The day after I earned my Master’s Degree from the University of Florida, I was on a plane headed to Hawaii. Growing up, my parents always had dreams of living in Hawaii. That mentality osmosed into my brain, so for as long as I could remember, I knew I wanted to end up here. My father was a surfboard shaper, and he did some work in Haleiwa for Wave Riding Vehicles but was only able to come out for a year to shape. My mom brought my brothers and me to the Big Island when I was 18 months old, so it is fun to see that I finally made it here to stay. RM– I was born in Rock Springs, WY and I made it out to Hawaii after a job was offered to me to work at Kona Brewing Co.
What are your roles/positions at Kona Brewing Company when did you start there? SS– I am the Brewery Operations Manager, and I’ve been working for Kona Brew for close to 5 years. RM– I am the Brewing Manager and Brewmaster, and I started working for Kona in 2005. SS– When I got into my graduate studies, I had some close friends who were into homebrewing and craft beer, and they introduced me to beer styles that I had never known existed. I was also fascinated with food microbiology and industrial fermentation. I was just lucky enough to happenstance on this position in paradise. Since I began at Kona Brew, I’ve been to the World Brewing Congress, the Craft Brewers Conference, I was awarded the Glen Hay Falconer Scholarship to Siebel, I participated in the Falconer Foundation collaborative brew with Ninkasi, I attended the Briess Malt and Brew workshop and I finished the Siebel short course in Sensory Panel Administration. I am the Hawaii chapter leader for the Pink Boots Society, and I also get to volunteer with this nonprofit organization monthly. I also recently became a Certified Cicerone. I’ve been really lucky to be able to experience beer in technical ways (I love learning!) and have had some really great mentors along the way. RM– Oddly enough, skateboarding got me started! I met a brewer at the skate park that told me about his job working in a brewery, and I thought “I can totally do that too”. After that I harassed a local brewery until they gave me an opportunity, and I was only 20 when I finally did start my brewing career. I loved being a part of the brewing community ever since! I don’t really skateboard that often any more though. SS– Ryan is such a great person to work with. He is extremely dedicated, experienced, and knowledgeable, and he has this creative ability that I really appreciate. We both have a lot of support for each other, and we build off of each other’s strengths. As the Brewery Operations Manager, I manage brewery budgets, explore educational opportunities for our team, support marketing and sales on the brewing side of things, manage our quality and maintenance departments, and tie up all the odds and ends that come with operations, including keeping the coffee stocked (which is really important). RM– I am mainly responsible for ordering all raw materials, production scheduling, working closely with sales and our customers to create purchase orders and container bookings, maintain inventory, and creating and keeping all brewing recipes up to date. You’ve both recently stepped into these roles. What were your previous positions at the brewery and how did they prepare you for your current roles? SS– When I came to Kona Brewing Company in 2011, there was a need for a quality program, and I was welcomed into the position of sole quality assurance technician. It was such an awesome experience to have a part in developing the quality program alongside my remarkable mentors Anthony Bledsoe, Paul Bergeman, David Ericsen, and Ryan McVeigh. I was also extremely fortunate to be welcomed by Mattson Davis and Cameron Healy. This past March, I had the opportunity to move into Brewery Operations Management, and I was psyched to transition into that role, especially with the news of the brewery expansion. This position is particularly bolstered by our incredible team: our multitalented lead brewer David Ericsen; Siebel scholar and lead brewer Parker Penley; father of Kona Brewing Co’s Firkin program and brewer Kyle Murphy; Firkin director, brewer, and beer style expert Kevin Wright; safety coordinator and brewer Tony Sargis; expert beer taster and brewer Benjamin Farish; outstanding brewer and hard worker Neil Nielsen; laboratory star Kayla Jensen; and Maintenance master Chad Bell. RM– I began here cleaning kegs and selling growlers. Not long after getting on the brew deck, I began doing the production planning and working with wholesalers. I have worked in this brewery in some capacity or another for ten years, and have an intimate knowledge of how this brewery and our organizational operations work. I would say the experience gave me an understanding of the capabilities the equipment we have, and how best to optimize them. How important is consistency of your core brands like Longboard Lager? 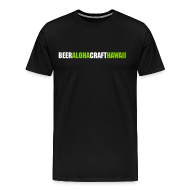 Do the beers you brew there in Kona get compared with the beers that are brewed at other CBA breweries? What are some of the things you do to ensure that Longboard brewed in Kona is the exact same as the Longboard brewed in Portland? SS– Consistency in any product is the core of quality. As anyone in the brewing world knows, there are several variables with brewing when it comes to raw material, process variation, weather, equipment, Menehune, etc. We are lucky to have a great quality program, headed by our brilliant Kayla Jensen, which entails microbiological testing, sensory analysis, and beer chemistry. We also put a lot of emphasis on using the best ingredients from the most reputable sources we can find. Our sensory program is a validation to our consistency, and to validate our sensory panelists, we have 5 (on our staff of 11) who are Certified Cicerones—Parker Penley, David Ericsen, Kevin Wright, Kayla Jensen, and myself—and more in training. In addition, a department that isn’t always in the limelight but has an extremely important role for product consistency is maintenance and engineering. We are fortunate to have Chad Bell to keep this operation running smoothly day in and day out. RM– Consistency is critical to the brewing process! We meticulously document EVERYTHING about our brews; the fermentation trends, temperature, ABV percentage, color, anything you could think of, we write that down. We have been recording this information for years and have established strict parameters for every brew, no matter where it is brewed. We do cross sampling and compare our beers in taste panels, plus we use the labs in each brewery to independently test the other breweries samples, and then compare data with each other. You now have a pretty nice lab there. What are some of the things you analyze and why is it important? SS– When I first started at Kona, the lab consisted of an ancient microscope and a sketchy pressure cooker for sterilizing glassware for forced wort. Since then, we have retired those items to our historical collection and replaced them with a compound microscope with a digital camera and an autoclave. We were also fortunate to stock some shiny new incubators, equipment for alcohol analysis, a spectrophotometer, a turbidity meter, a sieve shaker, a fume hood, a pH meter, and a few more fun toys. We are looking at a gas chromatograph and even some PCR capabilities in the future with the expansion. RM– For me the best part of the lab is identifying trends in fermentation, color changes, IBU and ABV. I use that data to update our recipes or identify an ingredient that is potentially out of spec. Or that data could help identify a component in the brewery that might not be working as well as it should. The thing I love about visiting the Kona pub is that there are all of these other great beers available that are not found outside of the state and a lot of times not even on Oahu. What are some of your favorite pub or state only beers to brew and why? SS– Benny Farish nailed it out of the park when he came up with the Magic Sands Mango Saison. We only brew it during the peak of mango season, when we can get the most juicy, ripe local mangoes. It pours a beautiful golden orange and hits your palate with fruity mango esters. Another one of my favorites was dreamed up by the mastermind Paul Bergeman back in 2011—the Vanilla Thrilla Imperial Stout. We put a ridiculous amount of vanilla beans in every step of the brewing process—from kettle to bright tank, then serve it on nitro for an extra creamy, roasty, intensely-vanilla brew. RM– I can’t say that I have one absolute favorite small batch beer, but I do enjoy the creative aspect of coming up with the recipes and enjoying a pint of the finished product. Recipe building is a team effort here at KBC, we establish style, color, IBU, ABV targets and desired ingredients to use. It’s fun to see what a group of us can create, and it helps educate staff members about how involved creating a high quality beer is from the beginning to the end. The fourth of the Makana Series beers, Makani, was just released. This is a unique beer because it not only incorporated local honey from the native hawaiian koa tree, but also a yeast strain isolated from Kilauea. How did you find the yeast and what unique characters does it have? SS– Our Hawaii Ale Yeast was isolated by Herman Phaff presumably on the slopes of Mauna Loa during his research in the mid to late 1900s. The yeast was banked at UC Davis, where Phaff tenured, until we were fortunate to get our hands on some for brewing. Herman Phaff was a yeast wrangler of sorts, who traveled the world isolating regional microorganisms, including hundreds of brewing and wine making strains. To learn more about Phaff and his impressive research visit http://phaffcollection.ucdavis.edu/biography-phaff.htm. The Hawaiian Ale Yeast is a Saccharomyces cerevisiae strain. It looks very unique under the microscope, where it is much smaller morphologically than most brewing Saccharomyces species that I have seen. As far as brewing yeasts go, it’s adorable! We find that the Hawaiian Ale Yeast has a clean fermentation profile at 68°F and gives off a slight ester profile. RM– We have actually used this yeast several times over the years in various different styles of beer. The yeast is unique to the Big Island and has it’s very own slow paced fermentation profile (which if you have ever been to Big Island perfectly fits the relaxed lifestyle ☺). If you’re able to isolate unique local yeast strains, has doing a sour beer ever been considered? Maybe not with a local strain, but even playing with Brett and Lacto? SS– I have always wanted to do one, but our innovative brewers Parker Penley and Kevin Wright won’t let me. Haha, just kidding—I tell them ‘no’ to the subject almost every day. We really appreciate a well-made sour during taste panel or after work, but brewing our own is too risky in this tropical environment. And yes, we are even going to hold off on kettle souring at this time. (I’m a Debbie Downer). RM– I personally would love to have a sour beer cellaring program! Unfortunately, we simply do not have the space in our current facility. Brettanomyces and Lactobacillus have a very high risk to reward equation and if the sour beer facility cannot be quarantined away from regular production, there is an extremely likely chance to have a nasty contamination. Is there any room in the current brewery to grow a small barrel program? Is it something you’d like to do for either clean or funky beers? SS– Ryan and the team have come up with some really delicious barrel-aged brews in the past, and we are sporadically getting in barrels for aging when they come along. Although a bit different, something to mention is our Firkin program. We release a novel, cask-style ale every 2 weeks for limited sale at the Kona pub. The casks usually run out in an hour or two and can include ingredients such as Hawaiian chili peppers, Kula lavender, Poha berries, Hawaiian cacao, or whatever is looking good in the organic section at our local natural food store. Kyle Murphy was the brainchild behind this exciting program; he really put a lot of work and research behind this one, and it is something to be proud of. Tony Sargis and Parker Penley have come up with some killer firkins over the years, and now our beer-style guru, Kevin Wright gets to put his magic on this bi-weekly treat. RM– Currently we try and get about four barrels a year to do some aging in. We are always interested in getting more barrels in for us to play with. This past year we got in four Buffalo Trace Bourbon barrels in and we did some interesting barrel aging; Kua Bay with lemon peel, Pipeline Porter with cacao nibs and cinnamon bark, Bourbon Barrel aged Imperial Vanilla Thrilla, and Bourbon Barrel aged Old Blowhole Barleywine. What’s a local ingredient that Kona has never used in a beer that you’ve always wanted to brew with? SS– Probably Lau Lau… but maybe not. Actually, I once heard of a brewery that was having some foam stability issues. They discovered that it was only happening during the graveyard shift. They decided to check it out. Upon inspection, everything looked normal, but they noticed a strange chain that had been adapted for the kettle. When they dug a little deeper they found that the crew was tying hams to the chain and using the kettle to cook them—apparently that is how to keep pork moist! I don’t know if the story is true, but it is a fun tale nevertheless. If Lau Lau wasn’t popular (I don’t know why it wouldn’t be), I would use the Kula lavender on a larger scale in something like a nice creamy stout. RM– There are so many different ingredients here in Hawaii to use it hard for me to narrow down to one or two that we have not yet used. Dragon fruit has always been intriguing and even though we did use the cinnamon bark in a bourbon barrel last year, I have really wanted to find a way to incorporate the cinnamon bark into a larger batch at some point in the future, stay tuned! If someone has only ever tried your core beers like Longboard or Big Wave, what’s one beer from the pub that they must try if they ever visit? SS– Don’t limit yourself, go for a sampler! Hula Hefeweizen, Lavaman Red Ale, Lemongrass Luau, and Vanilla Thrilla (if you can snag it) make a happy visitor. Also, we have a really cool program called the Makana Series, where we come out with a new brew every 3 months. A portion of the proceeds from each pint go to local nonprofit organizations which help keep Hawaii beautiful. We use some really unique local ingredients including taro, koa blossom honey, desalinated ocean water, kiave-smoked malt, and a rare Hawaiian brewing yeast. I would totally recommend getting your hands on the latest release if you get a chance. Best part about brewing in Hawaii? SS– The deep-rooted culture and amazing land and people. RM– It is the best job in the world- and the job is in paradise! What’s not to love about that?! Tags: Interview, Kona Brewing Company, Ryan McVeigh, Sandi Shriver. Bookmark the permalink.